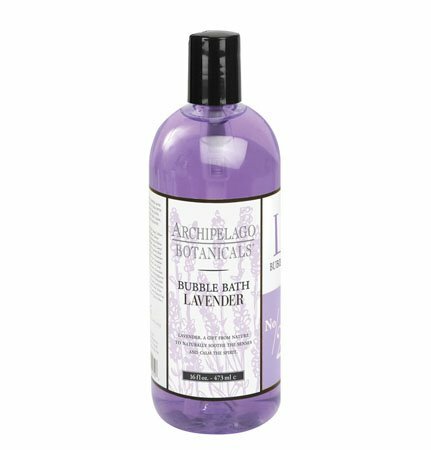 Archipelago Lavender Bubble Bath creates a relaxing, luxurious bath experience while restoring and soothing the skin with a blend of essential oils of Bergamot, Lavender, Orange, Lemon, and Eucalyptus. Add a generous amount under warm running water for relaxing bubbles and calming lavender fragrance. Paraben and sulfate free. Made in USA. 16 fl oz., 473ml.